Dr. Appaji is Lecturer, Department of Anatomy, M.S. Ramaiah Medical College, in Bangalore. She received the Mahesh Littlefellow Prize for being the top scorer in Paediatrics in her undergraduate examinations at prestigious Mysore University, as well as securing the first rank in postgraduate examinations at Rajiv Gandhi University of Health Sciences. 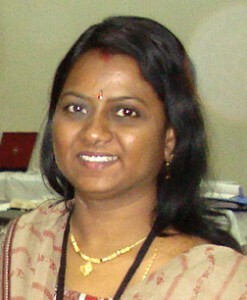 She attended the International Conference in Medical Education held at her home institution in January 2007. 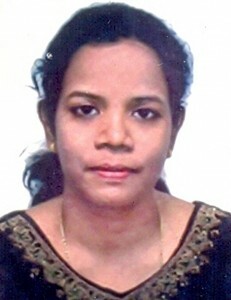 She was actively involved in the development of the software “Computer Assisted Learning in Assistance to Traditional Method of Dissection,” and actively participated in the organization of a Spinal Arthroplasty workshop in collaboration with the Orthopaedics and Neurosurgery departments in March 2007. She attended a continuing medical education (CME) program on Current Trends in Teaching Anatomy held at Kasturba Medical College, Mangalore; a workshop on Innovative and Instant Three Dimensional Models in Anatomy at Sri Ramachandra Medical College, Chennai; and a workshop on Assessment Methods in Learning Evaluation at the All India Institute of Medical Sciences (AIIMS), New Delhi. She is an active member of Medical Education Cell, and her areas of interest are innovative teaching-learning methods, OSPE, MCQs, and genetics. Mr. Bhandary is one of the founding faculty members of Patan Academy of Health Sciences (PAHS), Nepal. Likewise, he is the founding member of the Medical Education Unit of PAHS. Recently, he was involved in the organization of the Training Workshop on Faculty Development at PAHS. Presently, he is developing a Social Composite Ranking Index which will provide an objective basis for ensuring the proper representation of students from the rural and disadvantaged Nepali population in the PAHS undergraduate medical program. 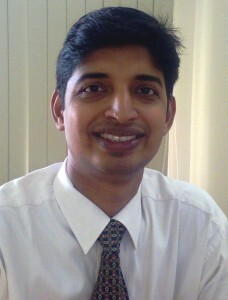 Prior to this, Mr. Bhandary was the Coordinator of the Examination Section of an undergraduate medical program at Kathmandu University Medical School, Nepal, for two and a half years (2005-2007) and was actively involved in the academic affairs of the same institution for more than three years (2004-2007). In addition, he also worked as Data Quality and Millennium Development Goal Consultant for the United Nations Population Fund (2003) and Central Bureau of Statistics, Nepal (2006), respectively. He was a resource person / contributor to the 2006 Nepal Demographic and Health Survey (2006-2007). 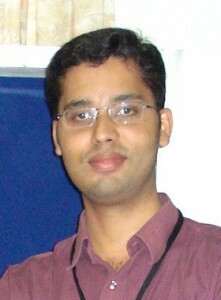 He has developed a computer program for community diagnosis and presented it at the 13th International Conference on Teaching of Mathematical Modeling and Application held at Kathmandu University, Dhulikhel, Nepal, during July 2007. He has worked as Lecturer of Mathematics and Statistics (1998-2004) and Community Medicine (2004-2007) at various universities in Nepal. Mr. Bhandary received a scholarship from the Ministry of Foreign Affairs, Government of Mexico, to purse an M.Phil. in Demography at the esteemed El Colegio de la Frontera Norte, Tijuana, Mexico from 2002 to 2004. He is currently working as Professor of Pharmacology, NRI Medical College, Chinakakani, AP, and has been a teacher for the past 20 years. He has attended seminars and workshops related to medical education and has completed short term training in National Teachers’ Training at Banaras Hindu University, Banaras, and clinical pharmacology training at the Postgraduate Institute of Medical Education and Research (PGIMER), Chandigarh, and T.N. Medical College, Mumbai. He has been actively associated with medical education, mainly in undergraduate and postgraduate education through the short term Indian Council of Medical Research (ICMR) fellowship for undergraduates, project works for postgraduate and Ph.D. students, and faculty development training programs in medical and allied subjects. His primary interests are innovative teaching, evaluation of viable teaching-learning techniques in the Indian scenario, program evaluation, problem based pharmacology teaching, implementation of OSPE, and faculty development programs. He hopes to work more on PBL, so that the graduates will be self sufficient, rational, and cost effective to the society. After earning his M.B.B.S. from Christian Medical College Vellore, Tamil Nadu, and his M.D. (Physiology) from Gandhi Medical College, Hyderabad, Andhra Pradesh, he worked in various government and private medical colleges teaching physiology both to undergraduate and postgraduate medical and paramedical students in Andhra Pradesh. He is now a Professor of Physiology at the Deccan College of Medical Sciences and Owaisi Hospital and Research Center, Hyderabad. He is also in charge of the Medical Education Unit of the institution. 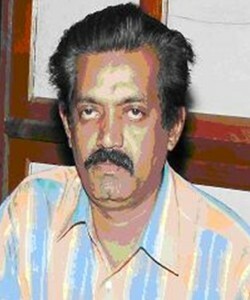 He became interested in medical education after attending a training program on Medical Education Science and Technology for Teachers of Health Professionals at the National Teacher Training Center (NTTC), Jawaharlal Institute of Postgraduate Medical Education and Research (JIPMER), Pondicherry, in 1999. The training he received there improved his teaching skills to a large extent. 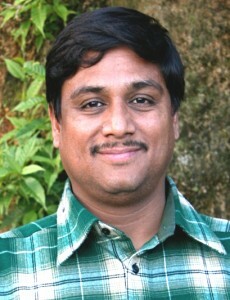 After becoming enthused about the importance of Medical Education Science and Technology, he published a paper, “The evolution of a better medical educator,” in the JIPMER Bulletin and served as a resource person for many workshops on medical education conducted by the Dr. NTR University of Health Sciences, Vijayawada, Andhra Pradesh. At present he is also on the honorary faculty of the Medical Teacher Training Center at that university. The use of media in medical education and feedback from students to improve teaching skills are his areas of interest. He is currently Senior Lecturer in the Department of Community Medicine, Mahatma Gandhi Institute of Medical Sciences (MGIMS), Sewagram, Wardha, in Maharashtra State. He is also the sector coordinator in United States Agency for International Development (USAID) / Aga Khan Foundation (AKF) funded Community Led Initiatives for Child Survival (CLICS) program. He is actively involved in camp based community medicine teaching at MGIMS, Sewagram. He underwent basic training in medical education when he attended a three-day workshop on teaching methodology, organized by the Medical Education Technology (MET) cell of MGIMS, Sewagram. For the last five years, he has been experimenting with a participatory teaching approach for medical undergraduates, interns, and community organizers (with a social-work background) of the CLICS program. Through his self initiative, he is also actively involved in the formative evaluation of community medicine teaching at MGIMS, Sewagram. He is also associated with capacity building of program staff and community members in the area served by his institution. He is Assistant Professor in the Department of Community Medicine, PSG Institute of Medical Sciences and Research, Coimbatore. He completed his M.B.B.S. 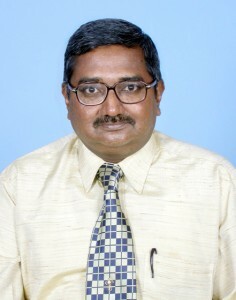 from Thanjavur Medical College and started his teaching career in 2001 as Tutor in Community Medicine, Vinayaka Missions Medical College, Karaikal, where he was motivated to do postgraduate work in the same specialty, and so joined Rajah Muthiah Medical College, Chidambaram where he completed his M.D. (CM) in 2006. 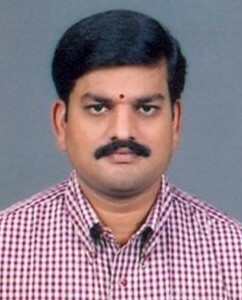 As part of the postgraduate program, he did his dissertation on “Effectiveness of Referral and Follow Up System of RNTCP (Revised National Tuberculosis Control Programme) in Cuddalore District.” He has also completed an advanced course in occupational health at the Central Labour Institute, Sion, Mumbai. In the field of Epidemiology, he has attended a workshop on Health Intervention Studies conducted by the Karolinska Institutet and Nordic School of Public Health, Stockholm, at R. D. Gardi Medical College, Ujjain, during 2005-2006 in two phases. He has undergone training in Clinical Management of HIV/AIDS organized by the Department of Experimental Medicine, Tamil Nadu Dr. M. G. R. Medical University, Namakkal, in 2006. He has worked as a resource person in “Management of STD/AIDS for Training Allopathic Private Practitioners under USAID-APAC Project.” He is interested in innovative student-centered learning approaches. Dr. Jain is currently an Assistant Professor in the Department of Community Medicine at the Kasturba Medical College, Mangalore. He was involved in the field trial of the draft Management Guide for Health Workers in Priority Communicable Diseases in the Community (WHO, 2001). He has had training in epidemiology and research methodology at various workshops, including “Planning and Analysis of Intervention Studies” in collaboration with the Nordic School of Public Health, Göteborg, and the Karolinska Institutet, Stockholm, Sweden; and the “National Seminar on Epidemiology of Non Communicable Diseases” at Chennai, held in collaboration with the University of Alabama. As a trainer of trainers, he has contributed to capacity building of non-governmental organization (NGO) workers, Child Development Project officers (CDPOs) and additional Child Development Project officers (ACDPOs) in the field of nutrition, and medical officers in the Integrated Disease Surveillance Project. He attended the Teaching-Learning Workshop at Manipal University in March 2005. He has also completed certificate courses in disaster management from the National Institute of Disaster Management, New Delhi, in collaboration with the World Bank Institute, USA. He has guided several student short research projects including the Indian Council of Medical Research – Short Term Studentship (ICMR-STS). He has several publications to his credit in various indices. He has authored several e-learning lessons on the subject of community medicine. He is a member of many professional organizations and associations and is a reviewer for Medical Education Online and Rural & Remote Health, international indexed journals. He is also active in extra-curricular activities and has been the quiz master for various inter-college competitions and a judge for various types of competitions, viz., debate, mime, movie spoof, mad ads, mock press, and photography. Feroze Kaliyadan, M.B.B.S., M.D., D.N.B., M.N.A.M.S. He is Assistant Professor in the Department of Dermatology at the Amrita Institute of Medical Sciences, Kochi, where he joined right after he finished his M.D. in 2004. He wants to contribute in whatever way he can to formulate newer concepts and improve the existing aspects of the dermatology curriculum in India. He has been personally involved in starting and streamlining the dermatology teaching programme and the dermatosurgery /procedural dermatology units in his institution. He was part of the United Nations expert group that met on “Telemedicine in the Reconstruction of Afghanistan” and the expert group of the Medical Council of India on the role of telemedicine and medical informatics in the medical curriculum. He is also an active member of various national and international teledermatology groups. He is an avid amateur photographer (http://www.flickr.com/photos/feroze_kaliyadan) and writer (ferozk.blogspot.com), and his other passions include music and chess. 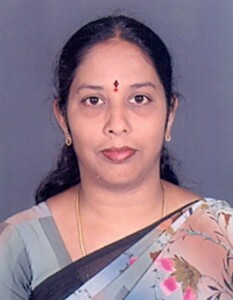 Chitra Nagaraj, M.B.B.S., D.M.C.H., M.D. She is Assistant Professor in the Department of Community Medicine, Kempegowda Institute of Medical Sciences, Bangalore. “Jack of many trades and master of none” is how she feels about herself. She likes to know less and less about more and more, with interests ranging from medicine to film making, knitting to wealth from waste, to multitasking and time motion studies. Her favorite book is Cheaper by the Dozen by Frank B. Gilbreth and Ernestine Gilbreth Carey. She graduated from Bangalore Medical College in 1979 and followed it up with a postgraduate diploma in Maternal and Child Health from Indira Gandhi National Open University (IGNOU) and an M.D. in Community Medicine from M. S. Ramaiah Medical College after a gap of twenty years. She started her career as a doctor with Central Health Services. Her orientation in medicine has always been towards prevention of disease. Secure in her central government job, she never ever imagined that she would do postgraduate work in her favorite subject! That was destiny. The postgraduate course was her first exposure to teaching and she found that she enjoyed it better than treating patients, so she took voluntary retirement from government service and entered the teaching profession. She is the Principal Lecturer in the physiology unit of the Asian Institute of Medicine, Science and Technology (AIMST) University, Malaysia. In addition to teaching physiology and dermatology to medical, dental, and pharmacy students, she functions as system coordinator for cardiovascular system courses and coordinator for examinations. She has been working at AIMST University for the past two years. 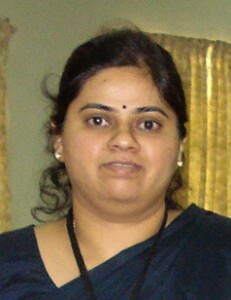 Prior to joining AIMST University, she was working as Assistant Professor at Government Kilpauk Medical College, Chennai, India. She obtained her M.D. in Physiology in 2003 after completing her D.D. (Diploma in Dermatology) in 1997. She also has experience in integrated systems and clinical skills teaching. Her research interests encompass a wide range of topics, such as pulmonary function studies in smokers and comparison of pulmonary functions of various ethnic groups, obesity, innovative teaching-learning techniques, program evaluation, OSCE/OSPE, etc. She has attended and presented at international and national workshops as well as at conferences on medical education, educational technology for health professional trainers, quality assurance in medical education, evidence based medicine and clinical health research, etc. Her interest in medical education originates from her close association with a wide range of students at graduate and postgraduate levels. 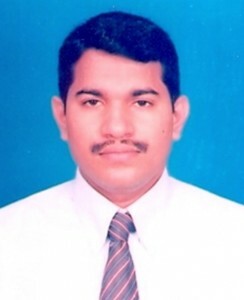 Baranitharan Ramamoothy is Academic Coordinator – Post Graduate Study at PSG College of Physiotherapy. He has 9 years of undergraduate and postgraduate teaching experience. He has presented more than 10 papers at various conferences and has published two papers. He gave a poster presentation on “The use of a Feedback Form to Evaluate the Briefing Session by Peer Group for Faculty Development” at the national symposium, Vision 2020 – Towards Global Standards in Health Sciences Education. Dr. Logeswari Selvaraj earned her M.B.B.S. 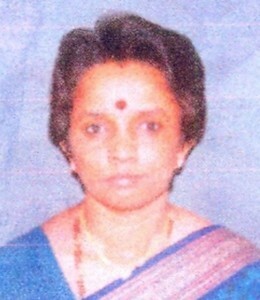 from Chengalepet Medical College, and in 1992 acquired her M.D. Microbiology from the Dr. A.L.M. Postgraduate Institute of Basic Medical Sciences. She has also earned various postgraduate diplomas and taken certificate courses related to medicine, and has worked as a teacher for the past 16 years at various medical colleges. 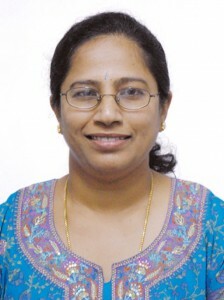 Currently she is the Professor and Head of the Department of Microbiology, Theni Medical College, Theni. Among the various honours and awards she has received, she cherishes the Visisht Chikista Award (South Asia Gold Medal) in 1994 and the Rashtriya Ratna Siromani Award (National Award) in 2000. She has published more than 13 research papers on various topics. She is also the author of two textbooks on microbiology for medical students. She completed her M.D. Physiology from Bangalore Medical College, Bangalore, and M.B.B.S. from Kempegowda Institute of Medical Sciences, Bangalore. She is currently working as Associate Professor in the Department of Physiology at Vydehi Institute of Medical Sciences and Research Center, Bangalore. She is also a member of the Medical Education Unit at her institute. She has been a faculty member for medical, dental, and nursing sciences since 2002. She attended the teacher training workshop conducted at her institute in 2006, which got her interested in various aspects of medical education. She later worked on a Research project entitled “Attitude of Medical Students to Learning Communication Skills,” and presented it at the International Conference on Medical Education held in January 2007 in Bangalore. In November 2007 she attended the conference on medical education, Building Capacity in Medical Education: A National Perspective, organized at the All India Institute of Medical Sciences (AIIMS), New Delhi, in collaboration with FAIMER. Her areas of interest are innovative educational methods, educational research, and scholarship development. Dr. Sundarajan graduated from the PSG Institute of Medical Sciences and Research (PSG IMS&R), Coimbatore, in 1994 and started his career as Casualty Medical Officer (CMO) at the same institute. After completing his Diploma in Tuberculosis and Chest Diseases (DTCD) from Chennai Medical College in 2000, he worked as Senior Resident in the Department of Respiratory and Critical Medicine at PSG Hospitals and was promoted to In-charge Emergency Medicine in the year 2003. He was selected by the government of Israel to attend a one-month training program on Creating an Emergency & Trauma System in the year 2006. He has undergone training in various faculty development programmes conducted by the Medical Education Department of PSG IMS&R, such as Teaching-Learning & Evaluation, Thesis Planning & Presentation, a workshop on Enhancing Effectiveness of Clinical Teaching, and a short course on Biostatistics. At present he is heading the Department of Emergency Medicine in a restructured environment supervising triage, medical ER, trauma room, pre-hospital care, and fast-track OP room, etc. He feels his project “Designing an Emergency Medicine Curriculum for a PG Degree” will create a model that will address the real needs of the time as well as will impress upon the national licensing body, the Medical Council of India, to implement this course. She graduated from All India Institute of Medical Sciences (AIIMS), New Delhi, acquired her master’s degree in Community Health Nursing from the College of Nursing, Sri Ramakrishna Institute of Paramedical Sciences (SRIPMS), Coimbatore, and is pursuing her Ph.D. in Nursing Education. Currently, she is the Professor and Head of the Community Health Nursing Department of the PSG College of Nursing (PSG CN). In addition, she has taken charge as the Vice-Principal of PSG CN for the past 3 years. Her area of interest is development of critical thinking skills among nursing students and nurses. She has attended many workshops that focus on innovations in education, including Education Technology, Evaluation in Nursing, the Regional Quality Summit on Professional Education, etc. She took an active part in the Innovative Teaching Methodology Workshop and spoke on “Concept Mapping and Its Importance in Nursing.” Her enthusiasm for innovations in teaching community health nursing prompted her to design a Modified Community Health Nursing Bag for her department which is appreciated and acknowledged by one and all.